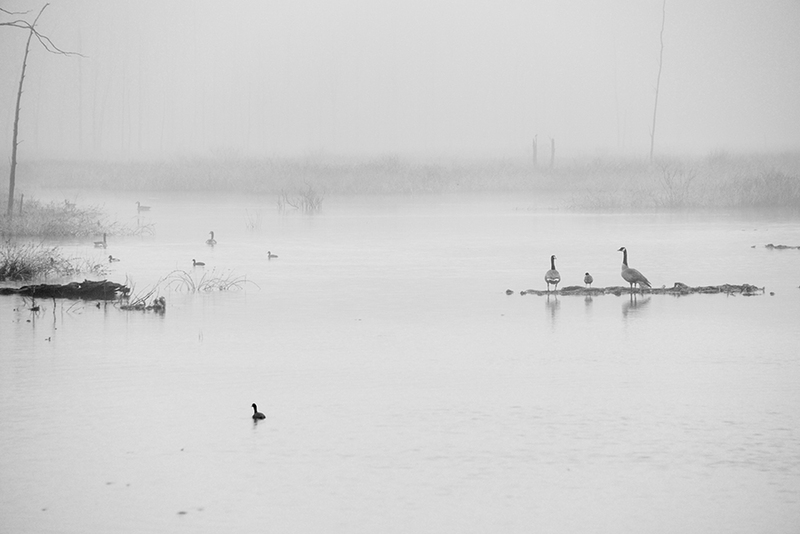 A contemplative scene from a visit to the marsh the morning of April 11, 2013. Enlarging the image one can see a mallard flanked by two geese. The solitary coot lists slightly in the foreground. None seems particularly anxious to begin the day. For me, this day was an unexpected gift, yielding extraordinary opportunities for wildlife and light. Most importantly, I had come to the marsh before dawn to reflect on my father who had died on April 11, seven years earlier. As I look back on that morning I have to think my father had something to do with the way in which I saw the landscape. And, one might imagine he had something to do with presenting the opportunity.